Since my departure from the SALAM Center a few weeks ago, the chatter has been deafening in the community about the role of the Imam and the expectations the Muslim community should have of him. This new found free time has allowed me to engage in some deep rumination about my experience with SALAM and our community at large. Interestingly, more than 5 of the most well equipped/most well-known Imams in America have left their posts over the past two months alone. Before them, scores of Imams step down almost every month. In fact, the average time an Imam spends with his mosque is usually less than 5 years (which means I was a survivor :-). Mosque in-fighting is a staple of the American Muslim’s experience It happens everywhere and affects everyone, but no one likes to talk about it publicly because, according to conventional wisdom, “we should not show non-Muslims our dirty laundry”. All of us can tell tales about mosque turmoil as often as we share stories about rowdy cousins and bad restaurants. I’ve asked myself time and time again: why is it that good, God-fearing people who are very sincere and want to serve the Creator and His people, start fighting and bickering and dragging the community with them to deep turmoil once they enter a masjid environment? This phenomenon cannot be a result of personal traits, since its so widespread across almost all Muslim communities in America. Unless by some act of God it so happened that all masjid leaders and Imams are crooks! It cannot be a matter of limited finances because the Muslim American community is one of the wealthiest communities, however much we might mismanage them. I doubt the involvement of the FBI, trying to mess up our mosques on purpose, as conspiracy theorists might ramble on about sometimes! The one thing that is less talked about within the context of our mosque affairs is structure. What is the makeup of our mosque leadership and how are they organized? Let me answer a few other questions first before I get to this one. First, you have the model of a top-down church hierarchy, represented by many Christian groups such as Catholics, Episcopalians, Lutherans, Mormons, etc. in which “clergy” members report to a clearly defined hierarchy from priest to Arch-bishop to bishop, etc. In this model the chain of command is clear. Clergy members report to their superiors, and while they are still sensitive to the needs of their local communities, they are only held accountable by their superiors (i.e. other clergy). Second, there is the independent church model, represented by many Baptist, Evangelical and other churches. In this model, a Pastor goes into a neighborhood, founds a new church and people start gravitating around him inspired by his message and teachings. A board is formed, and committees are put in place in order to fulfill the vision of this pastor. While this model still bears elements of checks and balances, the pastor is clearly accountable to his congregation and not the board, and a significant majority is required to force him to step down. The structure that is often implemented in the Muslim community (usually in Sunni institutions) doesn’t fit either of the aforementioned models. In our case, a group of laymen, usually professionals in other fields, come together and establish a mosque. They put together and comprise the board, write bylaws and policies, establish committees and procedures, etc. and then find an Imam to lead prayers, deliver khutba, teach the youth, etc. Its either a simple Imam, who may or may not speak English well, who’s usually from overseas with little experience and limited skills, who serves at the pleasure of the board, keeps a low profile and does what he’s told. In this case the Imam keeps his job, the relationship with the board continues to be peaceful, but the community doesn’t grow. The second type of Imams is one that either grew up or lived a significant number of years in America, is eloquent, well educated, skilled, charismatic, and comes with a vision and an agenda to transform the community. This Imam/activist usually empowers the community to grow and people gravitate around him, but the very factors of his success become the seeds of his doom. Over time the relationship with the board grows sour because of diverging views, he gradually becomes a threat to the board and masjid leadership, and in almost every single case, such Imams quit or are forced by their boards to step down. This model is not only a failure because it rewards mediocrity and punishes innovation. It is bad news because it creates an environment where the community is not connected spiritually. In political and social settings, it is understandable to talk about the necessity of attachment to institutions and organizations and not people. The same cannot be true in a spiritual setting. People need to see their leaders become a reflection and an embodiment of the teachings they perpetuate. Families need to be connected with their Imams. The Imam needs to be there, side by side with the family, from the very beginning. When one gets married, the Imam is there. When one has his first child, the Imam is there. When the family needs counseling, the Imam is there. When the child joins youth group, the Imam is there. When the family needs a social camp, the Imam is there. When the child grows and heads to college, the Imam is there. When the child becomes an adult and is now looking for a spouse, the Imam is there. This is how a community is built. Without that personal connection with the Imam, you will always have communities that come together for events and activities and not ideas and spirit. The connection cannot be organic without a role model. Of course there are exceptions to this assessment, but statistically most American mosques fall under one of the two categories. What is even more interesting is that this latter category of Imams, once they step down from their posts, they mostly try to join other communities and accept an Imam job elsewhere, hoping to still do what they love, continuing to serve their communities and supporting their families. Unfortunately within a few years the cycle repeats itself and most of them end up stepping down again. Instead of joining a new masjid, a select few of these Imams establish their own task specific institutions, such as Quran memorization, Arabic education, youth work, counseling, etc. This causes scores of community members, who are getting nothing from their mosques now that their Imams have left, to gravitate towards those “institutions” seeking services. 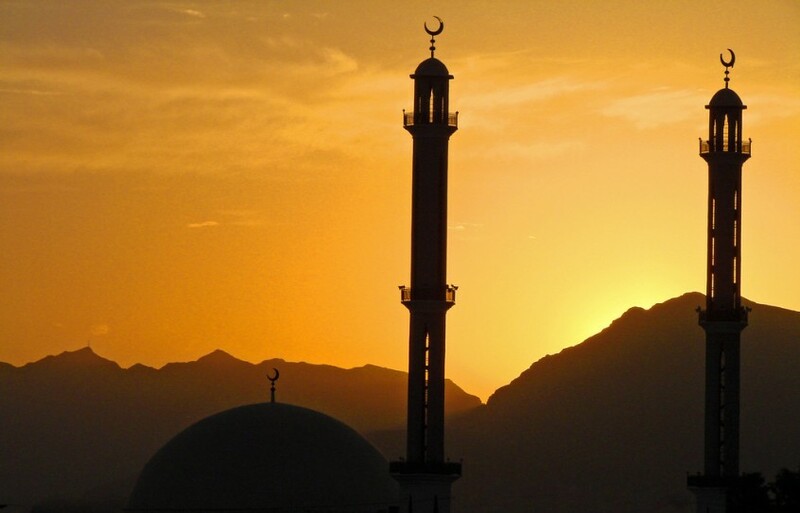 The newly found institutions feel pressured to offer a variety of spiritual and educational services that mosques failed to offer, and they gradually evolve into a “we-are-not-a-mosque” type of mosque, or as some label them “third spaces”, in which the vast majority of masjid services are being offered, but the institution continues to have a separate identity from a full-blown masjid. Some Imams quit their Imam careers altogether, and pursue lay jobs or academic careers, trying to avoid the pain they experienced within the confinements of dysfunctional masjid structures. For some reason, very few Imams opt for the establishment of a new mosque under their leadership, following the second Christian model mentioned above. The main reason for this is that the culture of an Imam starting a new mosque doesn’t exist in America, at least among the immigrant community. In addition to that, most successful Imams might not have the educational or the real-life experience that would allow them to manage and lead a successful and financially viable religious institution. Millions of Muslims live in America, more than half are probably youth; mosques are failing to offer the needed programs and services; most qualified Imams are being pushed away from serving their people; young American Muslims are being “unmosqued”; ISIS and al-Qaeda are recruiting! Not a cool/pretty picture is it? First, the notion of praying at the most convenient location needs to change. The Muslim community needs to reward success and punish failure. People cannot pray at locations where services are not offered. They should not support those places financially either. Be selective on where you pray and where you send your kids. Second, qualified Imams in America should never allow themselves to serve under unfair and inequitable conditions. Start your Qur’an halaqa in the basement of your own house, and when it grows big enough go ahead and venture out to establish a new community. Third, Imams needs to study a lot more than Islamic sciences. If you want to make a difference in the American Muslim life, you need to have clear understanding of management, public relations, civics, finances, and other needed fields of knowledge that will help you become the leader of your community and manage its affairs. Fourth, Imams need to consider another element beside the stability of leadership structure and that is financial sustainability. One can never worry about building a masjid or starting an institution or establishing a new community without worrying about its financial stability. More time needs to go into creative finances and sources of funding than goes into construction. Conventional fundraising is no longer sufficient. Fifth, it is obvious the Imam cannot do everything. Find people who can help. Invite them to volunteer for key positions, operations, finances, youth, etc. under your direction. If there’s anyone who has the power to inspire people to serve it is you! And once you get your finances in order, invest in people and hire the best element out there and institutionalize your center.